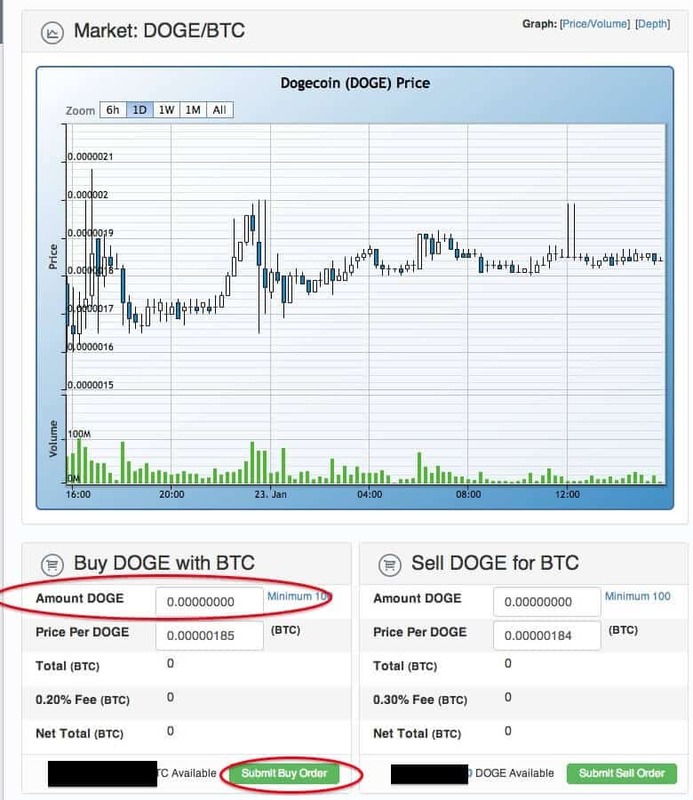 Although it was only released in the beginning of December 2013, in the first month of 2014 Dogecoin has more than tripled it’s value. Obviously this has created a strong demand for purchasing Dogecoin. You will need a Dogecoin wallet to store you Dogecoins. Go to Dogecoin’s official website and download the appropriate Dogecoin wallet. Note that there aren’t any reputable USD/DOGE exchanges, which is why I would advise against buying Dogecoin directly with fiat (USD, EUR etc.). 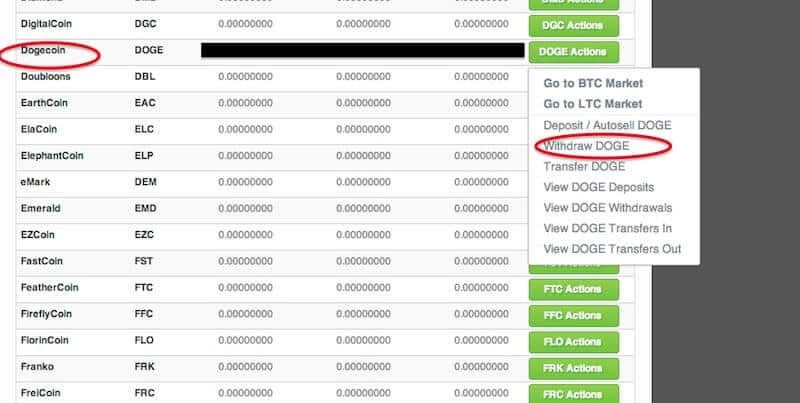 Also, there are very little reputable exchanges that allow you to buy Dogeicoin (DOGE) with Bitcoins or Litecoins. This of course means you will have to obtain Bitcoins or Litecoins somehow, but have no fear, the tutorials are here! So here is a list of tutorial that will help you buy Bitcons or Litecoins in various methods. 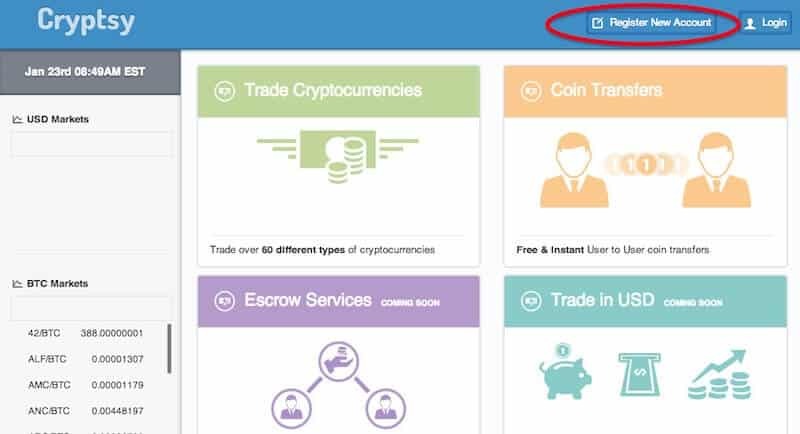 Once you obtain them continue to step 2 which is finding your Dogecoin exchange and get to buying Dogecoins. Buy Bitcoin with Paypal – Worldwide, High commissions (can reach up to 10%), fast delivery. Buy Bitcoin with a Credit Card– Worldwide, High commissions (can reach up to 10%), fast delivery. Buy Bitcoin with wire transfer – US only, low commissions, delivery can take up to 4 business days. Buy Bitcoin with cash – Worldwide, find someone located physically near your location and set up a deal for buying Bitcoins. Buy Litecoin with Paypal or Credit card – Worldwide, High commissions (can reach up to 10%), fast delivery. Buy Dogecoin with your BTC or LTC at a secure Dogecoin exchange. Cryptsy – Probably the biggest altcoin exchange today. Has a DOGE/BTC exchange and a DOGE/LTC exchange. Bter – Another reputable altcoin exchange with allows you to buy Dogecoin with Bitcoins. The following is a short tutorial of how to buy Dogecoin once you’ve secured some Bitcoins. A simple registration process which involves 2 security questions and an email verification process. 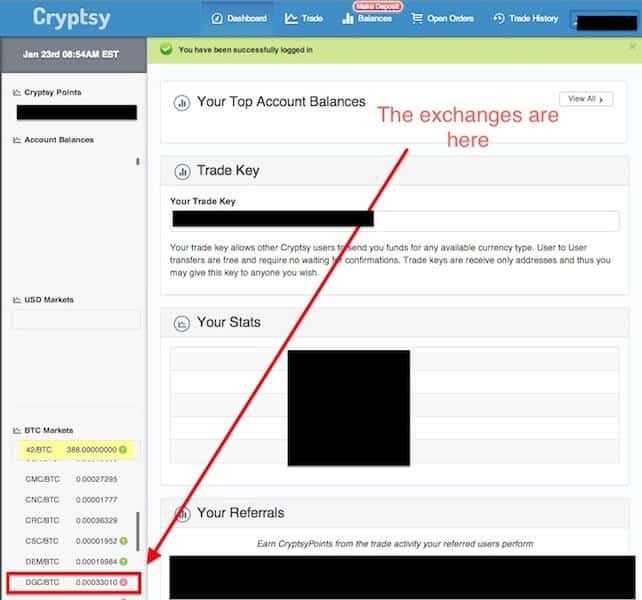 Depending on the currency you’ve chosen to purchase you will now need to send it to your Cryptsy address. On the top of the page go to “Balances”. 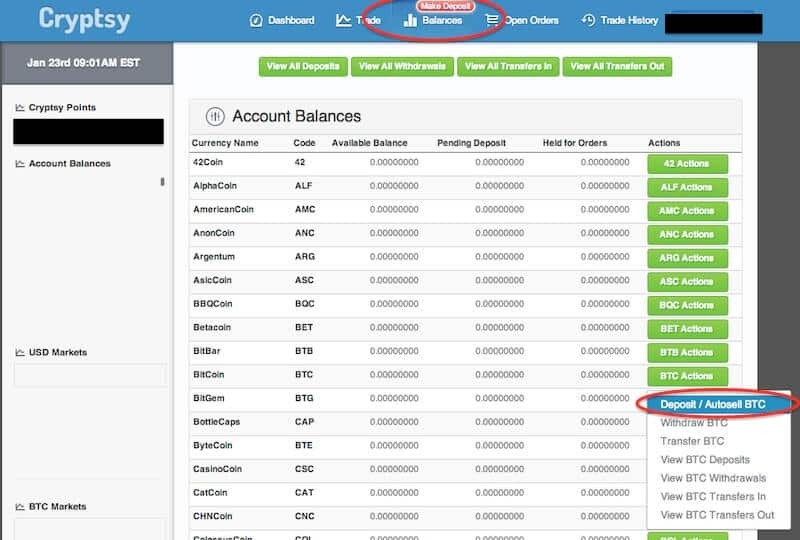 In the “Balances” page look for the Bitcoin row (or Litecoin if that’s your currency), click the button that says “BTC actions” and choose “Deposit / Autosell BTC”. 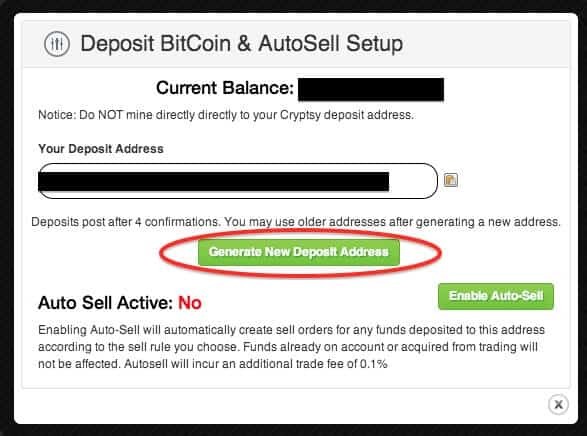 In the pop up window that will open click on the button that says “Generate new deposit address”. You will now be able to deposit your Bitcoins to this addres. It may take some time for the Bitcoins or Litecoins to show up in your account (usually up to 1 hour). Depending on which currency you have secured go to the Bitcoin to Dogecoin (DOGE/BTC) exchange or Litecoin to Dogecoin exchange (DOGE/LTC). You can find the different exchange on the middle left of the site. After you’ve reached the desired exchange just enter the amount of Dogecoins you would like to buy and complete the transaction by clicking “Submit Buy Order”. Now it’s time to move your Dogecoins to your Dogecoin wallet. Don’t make the mistake of leaving them on Cryptsy, it’s not recommended. Go back to “Balances”, find the row that says “DOGE” and click the button that says “DOGE actions” (makes me laugh every time). 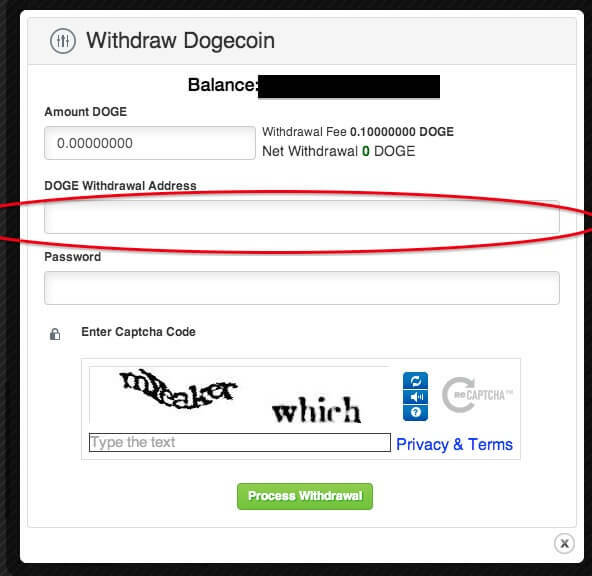 Choose “Withdraw DOGE”. In the pop up window that opens up just choose the amount of coins you want to withdraw, enter you wallet’s address, your Cryptsy password and you’re good to go! Cryptsy is no more. Any other exchanges you can recommend? Hey, so, apparently, Cryptsy doesn’t exist anymore since they went bankrupt. Could you update the tutorial on how to buy DOGE with BitCoin over another platform? Where do you get your wallets address? Thanks for the tutorial. Very nice with all the pictures and the video. Will definitely help me. I didn’t even know what a dogecoin was, but it seems that this step by step “how to” would make the process of purchasing one easier. I think bitcoins are the way of the future. Articles like this help users to figure them out. This is an awesome post and it simplifies the process of getting Dogecoins.